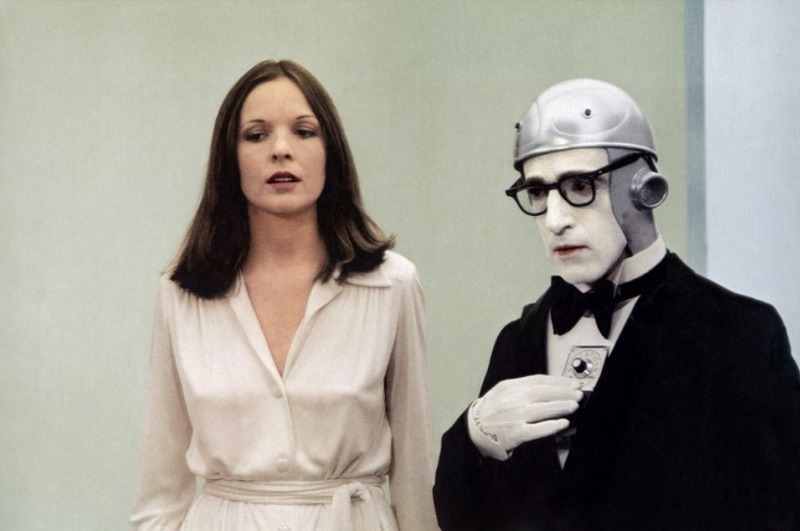 Two Woody Allen movies make their mark as my joint picks of the week: Bananas and Sleeper. 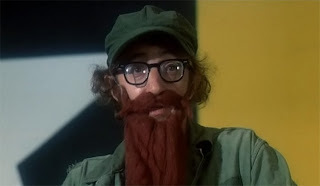 The first sees Woody playing a typically nebbishy character named Fielding Mellish, an unsuccessful product tester who finds himself in the centre of a revolution in the fictional Latin American nation of San Marcos. Seeing an opportunity to impress his ex-girlfriend in New York, Woody embraces an opportunity to become El Presidente of the banana republic. The second of the two films (which I found marginally less amusing) has our hero waking up from a two hundred year sleep to find himself in the distant future, where his 20th century attitudes are roundly mocked by those around him. Again, Woody blunders his way into the path of a group of rebels who stand in opposition to the evil tyrants running the country, and once more he becomes a hero despite himself... I'd never previously seen any of Woody Allen's early pictures before, but I have to say that I was very pleasantly surprised. There's less of the therapy speak and (slightly creepy) pursuit of much younger women that you tend to find in his later film, and much more in the way of slapstick, hilarious one liners and self deprecating humour. As a result I found myself laughing throughout both of these movies, which is definitely a good sign. Previously, my favourite Woody Allen movie would have to be Hannah and Her Sisters, but Bananas gives it a damn good run for its money. Once again, I didn't see anything which I'd regard as an out and out turkey, but I wasn't completely convinced by Dredd. The plot plays out in very similar fashion to last year's brilliant Indonesian movie The Raid: Redemption, with Judge Dredd (Karl Urban) and his psychic sidekick Anderson (Olivia Thirlby) trapped in a tower block, massively outnumbered by a gang hell bent on killing them. It zips along at a good pace, so I can't say I was bored by the movie, but for me, Dredd suffers in comparison with The Raid, in a couple of areas. Firstly, the action scenes just aren't as well choreographed or as compelling as the astonishing martial arts work on display in The Raid. Secondly, Dredd is an almost inhuman killing machine, in stark contrast to the Indonesian film's more vulnerable, human protagonist - this meant that I never found myself caring too much whether or not the Judge succeeded. 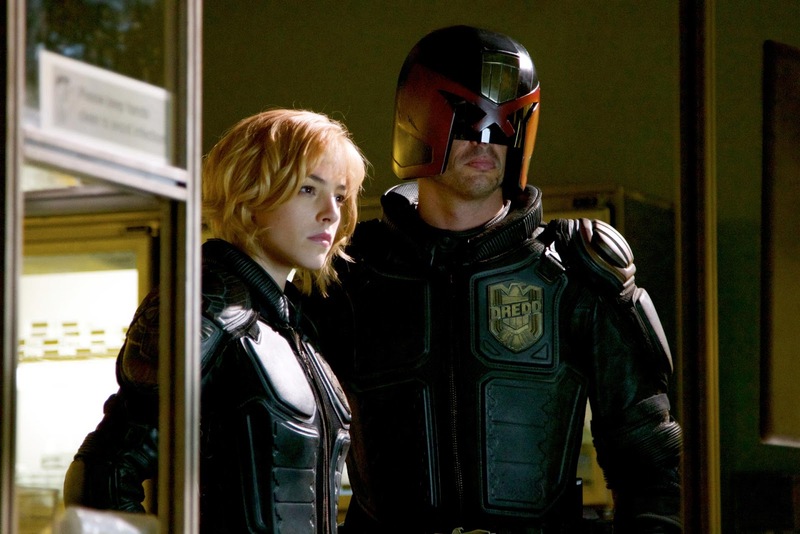 While it's welcome to see a darker, more adult take on the superhero genre, Dredd isn't in the same league as films like The Dark Knight or Sin City. "Fielding Mellish: I was a nervous child - I was a bed wetter. When I was younger, I used to sleep with an electric blanket and I was constantly electrocuting myself..."